Do you want to increase income from your job, career or business? I say put in the work, invest in yourself and think long term. In the early years of my career, I couldn’t increase my income fast enough. As a result, the situation frustrated me. Maybe you can relate? 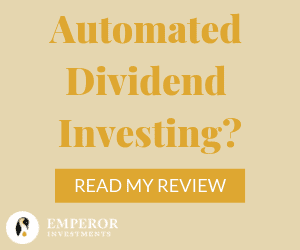 First of all, I promote here at Dividends Diversify that you should focus on increasing your income if you want to build wealth. Your earnings power from your job, career or business is the raw material for wealth building. For example, the first point in my most popular article to date titled 6 Steps to Create Your Passive Income Machine was to increase income. That was also my second point in another popular article called quite simply Build Your Wealth. In the first article of this 2 part series, Flex Your Main Hustle Muscle, I highlighted several reader comments where they emphasized the need to put focus on your primary career. Most noteworthy, I call it, your main hustle. The readers commented that making some extra money from side hustles is fine. But, not if it comes at the expense of your main hustle. This philosophy, from my readers, is one I agree with. However, it is a slow hard process. The return on investment often comes many years after the investments in yourself have been made. 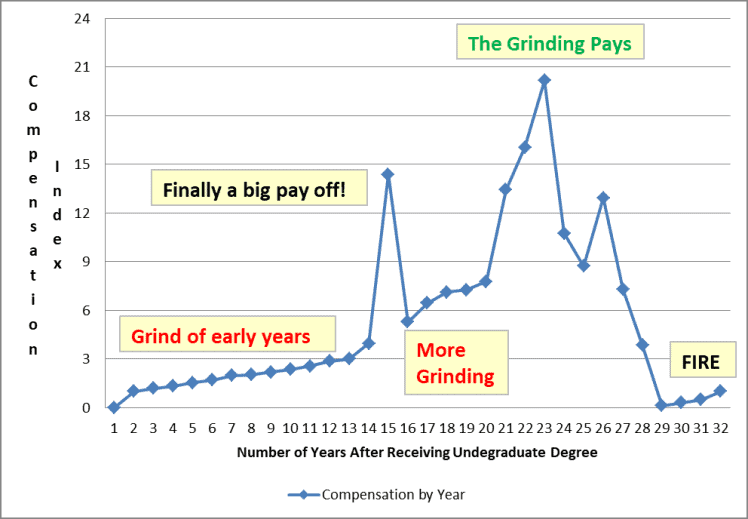 If you are grinding away and higher earnings do are not appear anywhere in sight, don’t despair. I felt the same way in my 20’s and early 30’s. It took 15 years into my career in my mid-30’s for investments in myself to pay off in a big way. Invest in yourself and think long term to increase income. I will chart and use my personal earnings history as an example. The chart below starts my senior year in college – Year 1. I worked part time during most of my college years, but not my senior year. I was busting my hump 60 plus hours a week studying for the Certified Public Accounting (CPA) exam. Fortunately, I passed the first time I took it. Making no money at the time, my compensation index was at zero. I worked 3 years on 20 plus clients at that public accounting firm. And, I didn’t really like it much. Long hours and lots of gossipy office politics that I wasn’t prepared for. I couldn’t really relate to the work or my co-workers so I left after 3 years. However, it was a blue chip firm that gave my resume instant credibility. So, I moved on to another blue chip firm. A Fortune 100 company in the health care industry. I fit in much better at my second work place. And, I liked the work in addition to the people. I worked there 10 years, but started looking to leave after about 7. Why? Brutally long hours and limited potential to climb the ladder and get paid for it. There were lots of talented accounting and finance professionals at this company competing for the same jobs. Although I got promoted from Senior to Supervisor to Manager during the 10 years, most of my moves were of a lateral nature to gain more experience in different areas of the business. I count 8 distinct and different positions across three operating divisions that I worked in at this company. However, as the chart shows, income growth was a slow grind during these early career years. And, I didn’t see it changing anytime soon. That’s why I was on the look out after 7 years to move on. Finally, I did so at the 10 year mark. On a personal note, I met the future Mrs. DD there about mid-way through my 10 years. As I said, I liked the people at this work place. Smaller companies typically do not have a robust internal talent pool to draw from. They often need outside talent. I took a risk and moved to a senior financial position reporting to the Chief Financial Officer (CFO) at a company that was being positioned for sale. In exchange, I received a much higher base salary and bonus potential as well as an equity stake if the company were successfully sold. My compensation started to turn up. And finally, the big pay off. Bonus and equity payments hit after a year when the company was sold. Don’t be fooled though, it was high stress and long hours selling a company and transitioning it to new ownership. After 2 years I left to become a CFO at another company. A very small volatile company with a lot of growth potential. And again, the compensation was heavily incentive based. In other words, make the company more profitable for the owners and get paid a nice slice of the profits. Over the 10 year stint there was a lot more grinding. Myself and the other senior managers increased company profits exponentially and were rewarded accordingly. The grinding pays! The downside? Brutal stress and long hours building out the people, processes and infrastructure to take a company from $40 million in sales to $275 million in sales over an 8 year period. I was on the bad side of burn out and networked heavily to find my next gig. For the last 3 years of my professional career, I joined the gig economy and consulted for a number of companies. Company’s where their finance and accounting functions were broken and needed fixing in a bad way. This wasn’t a side gig. It was full time work leveraging skills accumulated over a lifetime of education and professional experiences to assist troubled businesses. High pay was the reward for high stress, travel, lofty expectations and no job security or benefits as a consultant. Then, my income dropped like a rock as I exited the consulting assignments after 3 years and started to transition to a new life chapter. I executed my financial independence retire early (FIRE) plan. I always wanted to teach so I went back to school and got a Masters Degree in Accounting plus 2 additional professional certifications. My income went back to zero while in school. I now teach part time at a local university and earn about what I did when I came out of school the first time 30 plus years ago. The difference between now and the past? The hours are less and the stress is zero. 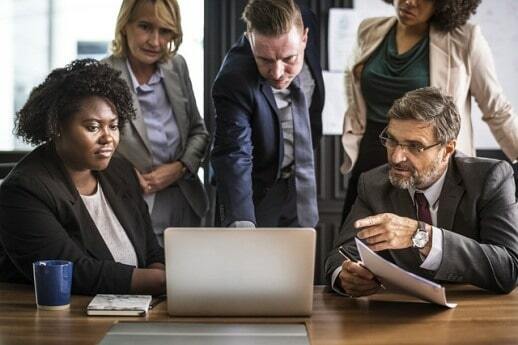 And, if you want a few other pointers on personal characteristics that will help increase income, check out this article at the personal and professional development blog Defined Sight: Success is not only for the Gifted and Elite. The title is great. I can relate because I am anything but gifted and elite. I’m a methodical, opportunistic grinder. Maybe others have an easier way? But, I sure couldn’t find it. What do you think readers? Is this the path to high earnings or do you have another way? In addition, be sure to subscribe. 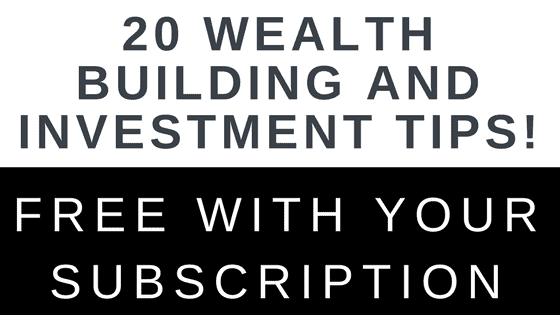 As part of your subscription, you will get 20 wealth building and investment tips free! Most noteworthy, never miss a new post. I will send a weekly email to all subscribers with a link to the current weeks new content. Last but not least, thanks for visiting. Tom, here is the part I like the most: “On a personal note, I met the future Mrs. DD there about mid-way through my 10 years. As I said, I liked the people at this work place.” A great humor. It looks every place is different, and also similar: long hours, and high stress. Wealth accumulation is a long haul. The slow and steady pace wins the race. Congratulations on your FI! You earned it. Enjoy. Tom, this is great. Really shows the grind and that success usually doesn’t happen overnight. Curious- Do you ever talk about these things to your students? Or is it mainly just course material? I would think this would be very valuable to the students should they choose to listen. Hello Mr. DS. For the most part, during class I stick to the course material. However, I do have a 15 minute lecture on career planning for my accounting students. It’s funny though. Some classes it has turned into a 45+ minute discussion with lots of questions and interaction and other times the class seems only mildly interested. Every class has a different personality, style and interest level no matter the topic. What typically happens is some students (like all people) you just have some sort of natural connection and comfort level with. Sometimes those students will pull me aside after class and want to talk. They have specific questions and do not want to air them out in a class room setting. This is typically the most rewarding experience for me. As the old saying goes, “you can lead a horse to water, but you can’t make them drink”. However, if the horse is thirsty, they will drink all the water you give them. Great summary Tom! Your path to success is impressive and your recommendations are right on. You need to make it happen and it takes a lot of work. I have been thinking of maybe going back to school at some point , How long did you go back for? Was it hard to study again? I got my MS in one year full time. I worked as a graduate teaching assistant while I took classes which paid my tuition plus a very small wage. I rented an apartment for a year since the school was 5 hours from home. It wasn’t hard to study for me. I had so much real world perspective that I could bring to it that I didn’t have when I was 20 and the program was steeped in real world application. Not bragging here, but the combination of work experience, a lot of effort on the course work made me one of the better students as compared to more traditional aged students who just wanted to get their degree with as little effort as possible. Have a nice weekend Caroline…. Hey Cindy (Tom don’t read) , isn’t it cute when they think they are the boss! I think you’re right. The only rare breed of people I’ve encountered that manage to find a shortcut are those extreme charmers that somehow always manage to position themselves well. I’m not one of them, but I look at them with a mixture of envy and admiration. One of my best friends is like that; he once boarded a plane and deplaned several hours later with a great job lead (which he wound up getting), just from talking to his seatmate! My biggest jumps in income always came with switching jobs. Companies tend to focus more on acquiring talent than retaining it. This seems strange to me because a company will never know more about a new job applicant than it will about its existing employee. If you’ve got something good in hand, why not try to keep it? As you mention, Tom, networking can play a big role. Knowing someone at a company you are trying to join can provide the edge you need to either get an interview in the first place, or put you over the top if it comes down to decision time at the end. Of course this won’t matter if you don’t already have a reputation for being a skilled and hard-working person, so always keep investing in yourself (and dividend stocks as well!). Hi Cindy! That’s lovely that you met your wife at work! Thanks for sharing your story of success. This reminds me of Caroline’s story in a way. 30 years of work is a long time, I am going to about 15 years. That’s great that your stress is zero- I would be stressed about what students think of me I think, that’s why I couldn’t be the managerial type. In Accounting going Public will give you the upside every time. A few years in Public Accounting and a change to industry will set you up nicely. That’s what I’ve learned and what I should have done. In any case, if you’re aiming for the C-suite then absolutely you did it much how I’ve seen it done. Back then did you have to take many more hours to sit for the CPA. Nowadays, it seems to make sense to get an MBA just to sit with a credit hour minimum. +1 on it not being easy to increase income. Hi HP. When I took the CPA, the educational requirement was only 120 credit hours with specific accounting courses within that requirement. So I took the exam right out of undergrad (it was one sitting over 2 and half days – 4 part online didn’t exist) and then worked my entire career with a BS and CPA. I wasn’t aiming for the C-suite at the time, but that’s what people who I sought career advice from advised. I think you brought up a great point and I agree ED., too. You know some of these companies out there will often pay more money for the people that they don’t even know. I think it’s all wrong.. When you have big income you mostly want to buy from any company. You mostly buy what you like, when you buy things and when you have the money. Fascinating perspective of your income journey Tom. Were you always aiming to hit the big pay-day with a couple of these roles, or would you have equally kept on grinding your way steadily along with a higher salary? And if so do you think your FIRE date would have been impacted much? I’m glad you gave some real insights into what it takes to earn big dollars like this. I must admit I’m much more focused on trying to keep a good life balance along with a solid salary, rather than hitting the big payday, which makes the journey much more sustainable for me. As a result, my chart doesn’t have those huge spikes, but the curve does get steeper pretty quickly after the first 10 – 12 years. Tom, I completely agree. I’m grinding it in my career field at the moment. I do expect a big payoff in the next several months, and quite frankly as early as July. I made little to no progress at first, but now I’m starting to see the results. It definitely takes a while but it’s also definitely worth it to focus on a worthwhile career. Your chart really demonstrates the fruits of labor. Time and energy, lots of it, are needed to achieve big success. And those require sacrifices as well. My brother works for a small company, but he get’s well compensated, exposure to so many elements in the business process and the ability to gain so much in soft skills that will continue to provide success in the future. Hi SMM. You bring out some really good points. Specifically, the energy required behind the graph. Lot’s of it, as you say. And, you bring out some of the merits about working at smaller companies I didn’t mention in the article. Especially, broader exposure to business elements and processes. Good stuff. Thanks! Great read Tom! Thanks for sharing it is motivational to the younger folks like myself. It is hard to get the momentum going in a career. I believe more and more that income truly does continue to climb if you work hard and develop your skills. I can relate to your background although I never went into public accounting. I did fall into tax and it becomes more rewarding and enjoyable as the years go by. Looking for opportunity and building relationships is a big deal. I feel that finance/accounting is also a great industry to prove yourself and then eventually go part time. I have seen many do this work hard and grind and then switch it up and work less. As of now I think that will be my plan when I get to my FIRE number. Great stories. Can relate to a few things on the list. Wanting to get into a bigger reputable place of employment. Looks good on a resume. I started out the same way. Overworked and underpaid gets old fast and you look for something that is a little less stressful. Lateral movement if you can’t advance. Build up the experience and resume with each new position. If school is your thing or think it can help, go back and try to invest in yourself. It will pay off in time if you are smart about it. Make money while it is there and grind accordingly to match your goals. Eventually, find something you love to do and turn it into a career or supplemental income since you should have set yourself by then. Glad everything worked out for you.